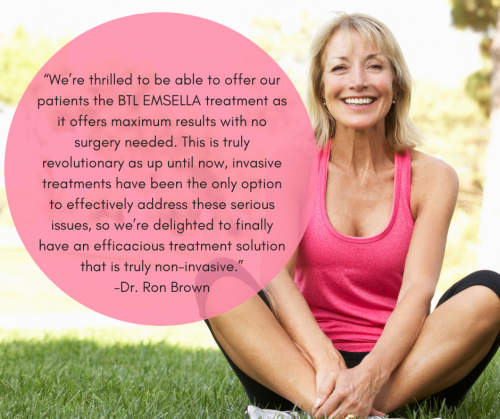 BTL EMSELLA™ is a revolutionary treatment for urinary incontinence (UI). Modeled after a chair for optimal comfort, women undergoing treatment with BTL EMSELLA are able to remain fully clothed, marking a large difference between this treatment and other pelvic floor restoration options. What’s more, UI treatment with BTL EMSELLA is pain-free and requires absolutely no downtime, enabling patients to resume all normal activities immediately following their appointments. Dr. Ron Brown, OB/GYN of True Balance Longevity is pleased to introduce this first of its kind treatment to women living in the Edmonton area of Alberta. If you are currently suffering from UI or other pelvic floor issues, please call our Sherwood Park office at 780-306-4331 to schedule an appointment. Dr. Brown maintains offices in Spruce Grove and St. Albert as well, enabling him to better meet the needs of women living throughout the region. Pregnancy and childbirth can have a profound impact on pelvic floor health, which is why leaky bladder issues impact women more frequently than men. In fact, approximately 35% of women are impacted by urinary incontinence - and this can have a devastating impact on physical and sexual function, impacting a woman’s comfort, ability, self-esteem, and self-confidence. If this feels familiar to you, now is the best time to contact one of our Alberta offices and schedule a consultation with Dr. Brown. BTL EMSELLA uses HIFEM (High-Intensity Focused Electromagnetic) technology to stimulate all parts of the pelvic floor at once, enabling a single, 28-minute session to contract pelvic floor muscles thousands of times. For optimal results, Dr. Brown recommends a series of six, twice –weekly treatments. BTL EMSELLA treatment at True Balance Longevity begins at $1000. Single session treatments start at $200. Stimulating the entire pelvic floor at once, a single BTL EMSELLA treatment is comparable to thousands of Kegels. A recent clinical study demonstrated that 95% of patients who underwent all six treatments reported satisfaction and significant improvement in their quality of life. Additionally, 67% of treated patients were able to entirely eliminate or significantly decrease their use of hygienic pads in daily life. If you are struggling with UI of any kind, we welcome an opportunity to meet with you and discuss your concerns, and to help you determine if BTL EMSELLA is the right fit for you. 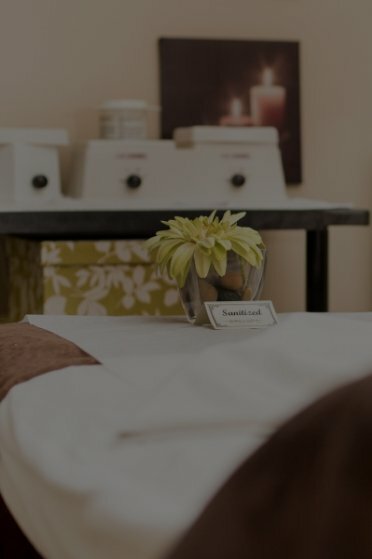 True Balance Longevity Med Spa is a transformative health and beauty clinic where the most advanced medicine and technology combine with meticulous skill and artistry to help you look and feel your absolute best. Whether you’re seeking cosmetic treatment for your skin, relief from hormonal imbalance or the benefits of feminine rejuvenation, Dr. Ron Brown and our talented staff can help you achieve your goals. To schedule a consultation with Dr. Brown at our Sherwood Park office, please call 780-306-4331 today. Dr. Brown welcomes patients from Edmonton and all surrounding areas of Alberta.